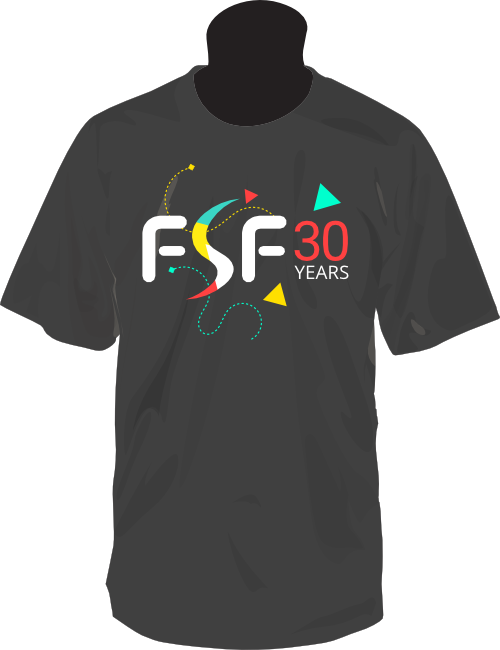 The Free Software Foundation was founded in 1985. In 2015, we're celebrating thirty years of promoting and defending computer user freedom. A free software supporter at the FSFE party for FSF30. 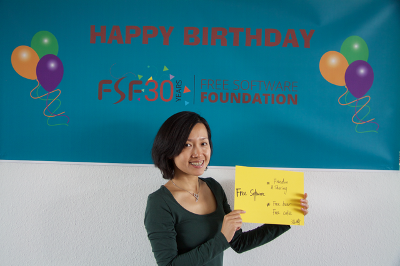 The free software community celebrated around the world, coordinating and promoting their events in the FSF30 Party Network. FSF general counsel and Software Freedom Law Center President and Executive Director Eben Moglen's talk, "FSF from 30 to 45," given at the User Freedom Summit held at Lesley University in Cambridge, MA. Moglen looks ahead to the crucial issues facing the free software movement in its next fifteen years. 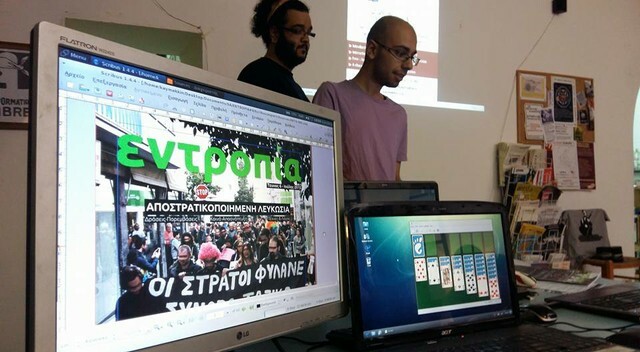 In Cyprus, free software was on display. Pick up an ethically made shirt!